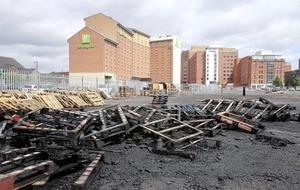 Pallets burned at the Sandy Row bonfire. Picture Mal McCann. AN SDLP MLA has said he will not be intimidated after a bonfire sign was erected of him wearing an Orange sash. 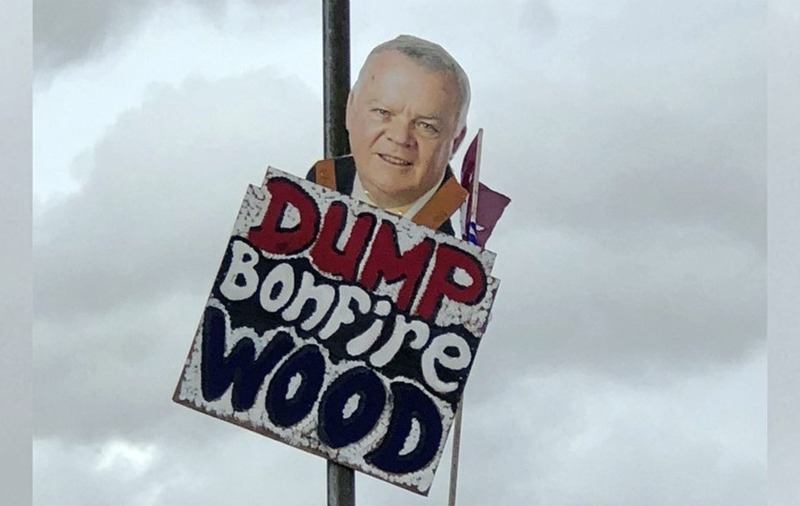 The sign appears to depict John Dallat wearing in an Orange sash and includes a message that reads, "Dump bonfire wood". It was placed last week on a lamppost in Limavady opposite Roe Valley Recreation Centre and behind Greystone Park. Mr Dallat said he has contacted the PSNI, describing the sign as "intimation". "Those behind this really are a sad lot trapped in the past," the East Derry MLA said. "I will be taking this intimation seriously. 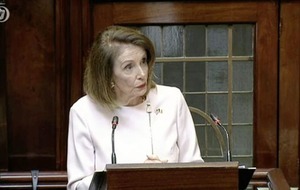 I have asked the PSNI to interview the culprits with a view to prosecuting them. "They certainly don't represent decent people in the unionist community, many of whom I work for day and daily and those people have no need to be phoning my office to apologise for this activity. 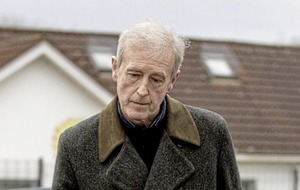 "I lived for too many years under very difficult circumstances where my security was listed by the Northern Ireland Office as 'severe' so I am not going to be cowed by this most recent incident." 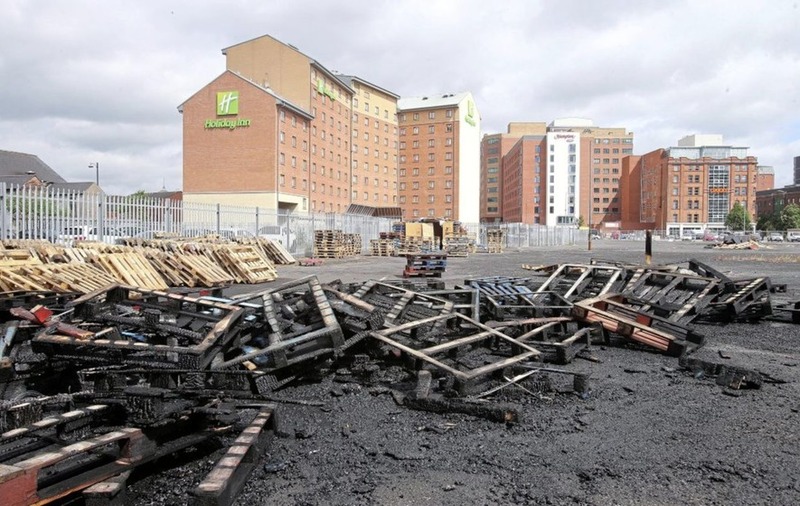 Around 30 pallets meanwhile were burnt yesterday morning at a bonfire site on the Sandy Row. According to residents in the area a person was seen riding a bike away from the scene after the fire started. While it is not known who was behind the attack community representatives say they believe it was a bid to raise tensions in the run-up to the Twelfth.